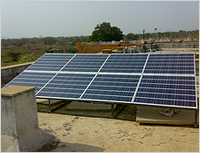 The pictures are of the sites in the interiors of Gondia.The rural hospitals in Tiroda and Devri are lit up along with the faces of the innocent patients and staff! 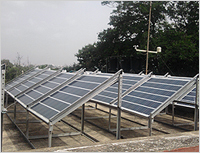 The pictures above are of the system installed in the centrally located Pune University.Along with the illumination and ventilation of the building, students of the Energy department can observe and study the system. 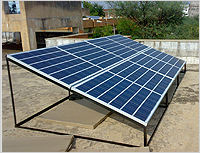 The adjustable structure allows them to observe changes in the output by varying angles at which the modules are mounted.So, well like they say, Earn and learn, this system is a sure shot Save( Energy) and learn!! 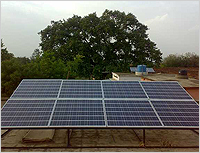 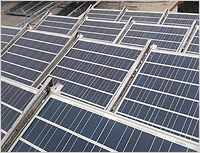 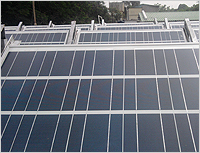 More than 50KW Solar power plants installed & many more being added day by day.